Philips 9762M: 30cm unit, double cone (whizzer), alnico magnet, 7ohm, plm 99dB. 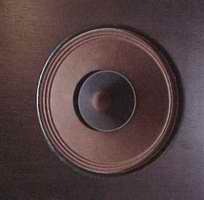 Philips 9710M: 20cm unit, double cone (whizzer), alnico magnet, 7ohm, plm 97dB. 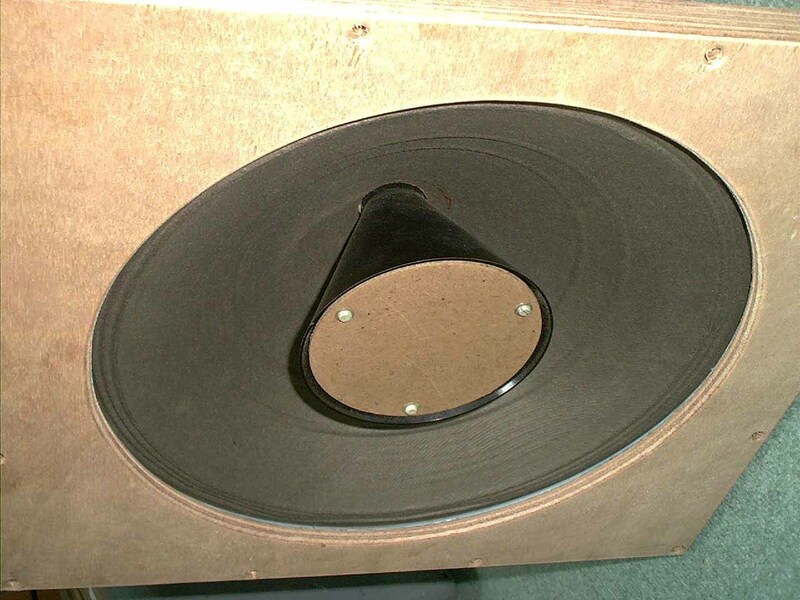 Philips "Unknown": 30cm unit, one cone, with bakelite phase-plug mounted on chassis, alnico magneet, 7ohm, plm 99dB. There where four sessions, each session comprised the four musicfragments. Thoughts were noted during listening (each apart). Afterwards we discussed the different units and their "sounds". 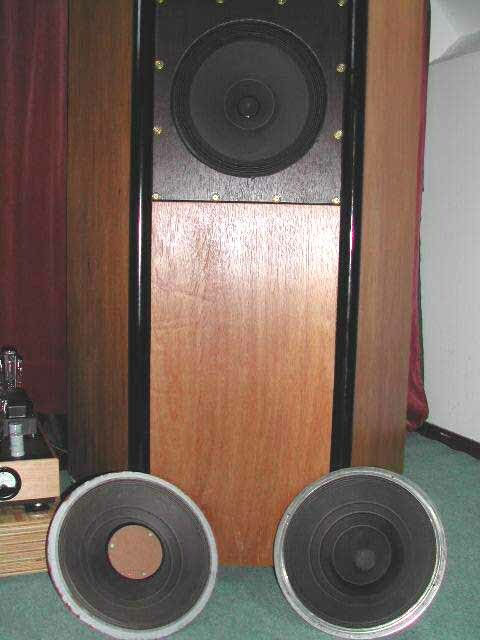 Equipment used is: CyrusDiscmaster, modified CyrusDacmaster (modified analogue part only), pre-amp with Siemens Aa choke-load (Lundahl) Ultra-tone 0.1mF out, power amps with UX171A insterstage coupled (Tamura SS351) to TJ300B Mesh using Plitron OPT's (5K). Interlinks are home-made, silver-foil with cotton braid insulation and speaker cable are PHY's (pure copper/silver plated, cotton insulated). 9762M: This unit sounds "nosy", "tunnel-like".Lots of stage and detail with two faces: sometimes open and cleansounding, other times harsh and "tunnel-like". Also: too much highs, seems like low-end is not coming along woth the highs. Sounds maybe better in a horn or in a enclosure. Sounds a little grey. Unknown: Same character as 9762M, somewhat more open, more warmth (colour) with better low-end response. Better detail than 9762M. Although at certain times highs seem to be uncontrolled and when a voice drops in, it sounds like phase-inverting. Less dynamic compared to 9762M, very relaxed sounding. Maybe this unit needs more time to break-in..